Rebecca Harms is a Member of the European Parliament for Alliance ’90/The Greens. She is Co-President of the Greens/EFA since 2009, a member of the Conference of Presidents, of the Delegation to the EU-Ukraine Parliamentary Cooperation Committee and of the Delegation to the Euronest Parliamentary Assembly. In the most recent conflict with Russia, the EU has tried to find a solution that avoids war. The EU considers military action only as the last resort – and that should not change in the future, even if we accept that the world won’t become an entirely peaceful place from one day to next. 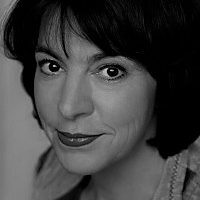 An interview with Rebecca Harms. Ein Interview mit Rebecca Harms, über Russland, Ukraine und die EU-Außenpolitik.